Bringing real student voices to a school leadership conversation. EdShift is a unique regional series of education gabfests aimed at bringing together teams that want to change the conversation on education, and enact positive transformations in their districts. EdShift is a unique education gabfest that provides school districts and key stakeholders the opportunity to work side-by-side with thought leaders and world-renowned experts. One thing that sets EdShift apart is the team approach. Each district can bring a team of 4-7. Who should be on the team? Superintendents, teachers, community leaders, parents, and especially students. Why would we have a conference about education, and not have a student voice? Student team members, student panel, a student keynote, and more. Rex Miller is known and sought-after for his effective problem solving skills. He has held many titles and lived many lives, including that of an experienced executive, an industry changing author and an innovative futurist. Rex’s currency is ideas; he has made a career out of being able to think differently and tackle colossal problems from every imaginable angle. Rex offers presentations and workshops on a variety of subjects related to his efforts in reinventing modern education and other industry shifting topics that he has collaborated on throughout his career as a big picture problem-solver. 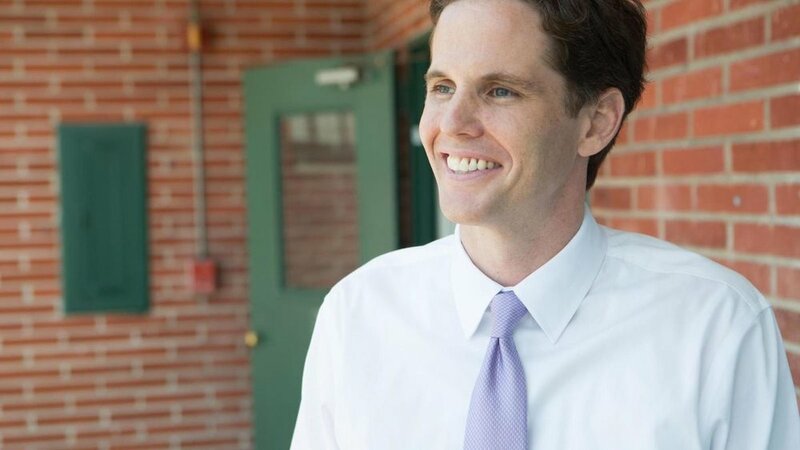 Marshall Tuck believes in the power of public schools to change lives. Most recently, as Educator-in-Residence Tuck directed various school improvement efforts with the New Teacher Center (NTC), a nonprofit organization working with school districts to help develop and retain effective teachers and principals. NTC has supported 166,000 teachers since 2012. Register for an EdShift regional event near you! Is there a conference rate at the hotel? Yes. Instructions to book your stay at the host hotel at the conference rate will be sent to you once you register. Who is recommended to serve on the stakeholder team? Each school district is unique with different types of stakeholders. EdShift encourages that each stakeholder team is diverse and a cross section of your community. School districts that are intentional in bringing a diverse team often share the conference has an immediate and positive impact for students and staff. How did EdShift evolve? What was the main idea behind it? The idea of EdShift evolved from some members of the K-12 MindShift team who have spent the past two years traveling across the nation visiting schools that are shifting its cultures to one of high levels of student and staff engagement. With this increased level of engagement, student achievement has increased while acquiring a set of future ready skills. EdShift is the only conference focused on taking action! EdShift provides an opportunity where district stakeholders can come together to dialogue, learn and design their district’s vision for learning alongside some of the nation’s leading educational experts. Why is there a conference discount only if students are a part of the stakeholder team? At EdShift, we believe in student voice! Past participants have shared that students provide meaningful dialogue and a unique perspective on learning. Districts that did not include students on their team shared that they missed an incredible opportunity and are committed to bringing students to the next EdShift conference! I am looking for a list of sessions, but it says “crowdsourcing.” What does this mean? How do I know if the sessions are worth coming to the conference? At EdShift, we offer a variety of sessions ranging from leadership and communication to learning how to design a simple and elegant engaging learning solution that streamlines district initiatives and resources. Additionally, EdShift offers an on-demand and customized learning experience. School districts from across the nation are shifting cultures. Each district is in a different place in their EdShift journey. Because of the variety and unique needs of districts, our leading experts will be on hand to provide an on-demand learning experience. Is a stakeholder team necessary? Yes, if you want immediate action. Traditional conferences provide opportunities for learning, but don’t build in time for immediate sharing and then designing how this learning can make an immediate impact. At EdShift, we systematically build this time into the conference in designing a plan that includes your district’s next steps. As a team, what will we gain by attending? EdShift recognizes the value of everyone’s time, which is why we provide a two-day powerful experience. When time is such a valuable commodity, we want school districts to get the most benefit from the learning where it will lead to action. Throughout the two-day conference, a “workshop” request board will be available for all participants to make a request on a topic they would like to learn more about that will assist their district in their edshift journey. As requests are made, EdShift team members will identify popular themes and work with leading experts to lead an on-demand workshop. Our leading experts will begin each session by surveying the “need to knows” and then delve into sharing the latest research and strategies, as well as answer participants’ questions.